Presidential elections 2017: Who is Ram Nath Kovind, NDA's candidate for President? The 71-year-old Dalit leader is current governor of Bihar. 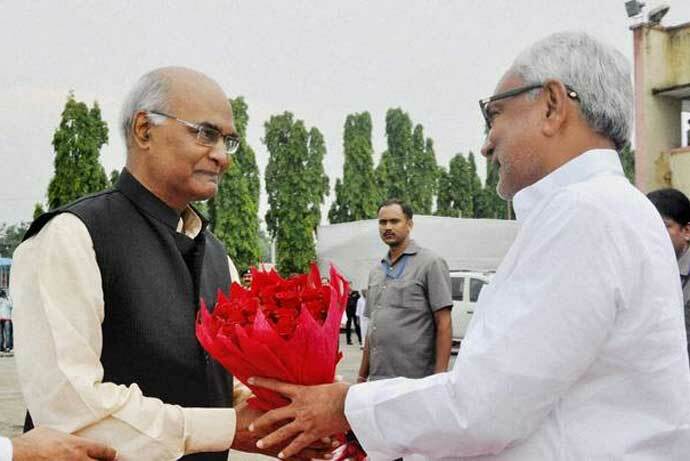 Bihar governor Ram Nath Kovind is the NDA canditate for president, BJP chief Amit Shah announced on June 19. The decision was taken after a BJP Parliamentary Board meeting. "Prime Minister Narendra Modi has spoken to Sonia Gandhi, Manmohan Singh, and other political leaders," Shah said. "Kovind will file nomination on June 23. We have simply informed other leaders," said Shah . "I am hoping for consensus on Kovind's candidature," Shah said. PM #Modi does not pull out a #Kalam like surprise candidate. #RamNathKovind is more PratibhaPatil-esque, more tokenism like in 2007. 1. Ram Nath Kovind was born on October 1, 1945 in Kanpur Dehat, Uttar Pradesh, and is the current governor of Bihar. 2. Kovind has been a member of Rajya Sabha from Uttar Pradesh for two terms: between 1994-2000 and 2000-2006. 4. He has been working and raising various issues related to Dalits and Scheduled Castes, and has served in many committees, including Parliamentary Committee on Welfare of Scheduled Castes/Tribes, Parliamentary Committee on Home Affairs, Parliamentary Committee on Social Justice and Empowerment, among others. 5. Kovind has B Com, LLB from Kanpur University and was the central government advocate in Delhi High Court from 1977 to 1979. He became advocate-on-record of the Supreme Court of India in 1978.